Okay, I’ve been trying to get this post up for nearly two weeks. I do NOT have time this morning. Like at all. But I’m not so good at taking no for an answer, even from myself, so I’m going to do this if it kills me. We have four minutes, kids. Hang on tight. It started just before my birthday. I got an email offering discounted tickets to the Potted Potter, an off-Broadway, two-man musical parody of the entire Harry Potter Series. My kid has read Harry Potter some twenty-six times. No, seriously. It’s like meth, that stuff. The kid just can’t get enough. So, despite the fact that I had only read up to book three and not quite made it through the first movie (listen, you put me in a chair in a dark room, Mama’s going to sleep), I asked Luau to get tickets to the show for my birthday. At the time, I was convinced that it was a truly selfless act – I assumed that my enjoyment of the show would be that I would get to watch Katie enjoy the show. But she had other ideas. She decided that in order for me to share in the fun, I should catch up on the story. And of course, the best way to do that was by watching all 842 movies before the show. Right. Please see “you put me in a chair in a dark room, Mama’s going to sleep.” I tried, folks. I really, really tried. So, she resorted to Plan B. As soon as we got to the theater, she told me the story. All of it. Yeah. Moving on. After we’d found our seats, Katie asked to visit the concession. I’d flown back from New York an hour before we’d left for the show. When I travel, I extract the important stuff from my wallet and put it all into a pouch that I carry instead. The pouch that was at home. In my overnight bag. Meaning that I had eight dollars, meaning that not only would we not be able to afford a six-dollar bag of M&Ms and a four-dollar bottle of water, but we wouldn’t be able to get lunch. Or the car. We called Luau, because somehow that seemed like a good idea. I told him that I had a credit card in my wallet, but that I hadn’t called it in to activate it from the home phone yet so it was useless. He said, “Um, babe. You just called me at home. I can call it in for you.” Cause he’s the actual kind of awesome and when only one of us has the brain at a time, it’s really good when it’s him. Afterward, we had plans across town, so I decided to move the car to my parking lot (meaning the one I already pay for) before lunch. And that’s when things got really, um, awesome. 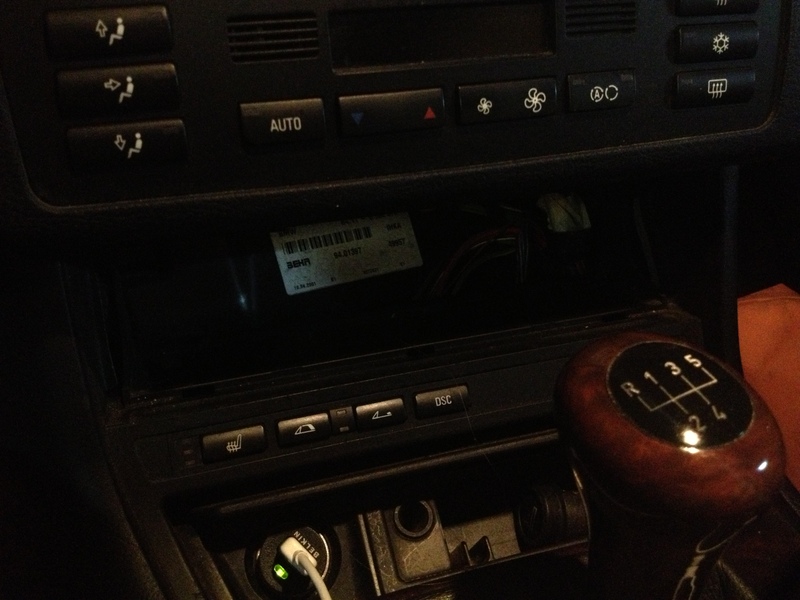 When I got there, I tried to open the compartment where I’d put the ticket. (Hint: “tried” is the operative word.) No go. I pulled and I yanked and I cajoled. I sweated and swore and I called it names. I asked God for a hand, but He was apparently far too entertained by the show I was putting on to end it prematurely. Finally, I pulled the entire damn thing out of the car. I figured that I’d bring it into the pay station in the hopes that the pay station guy would have something, anything, that I could use to extract the ticket from the, the .. thing. I’m not a car person, people, it’s the thing that goes in that there hole. I showed her the … thing. I turned it over so that she could see the edge of the parking ticket, mocking us as it was from the underside. I told her that I was going to bring it to the parking attendant to see if he could help. And, like a petulant child – er, mature adult teaching her child the importance of believing in her ability to be self-reliant – I did. She reached into her bag and pulled out a magic wand. Yes, seriously. Because who goes to a Harry Potter show without a wand in their bag? I mean, right? And she went to work. 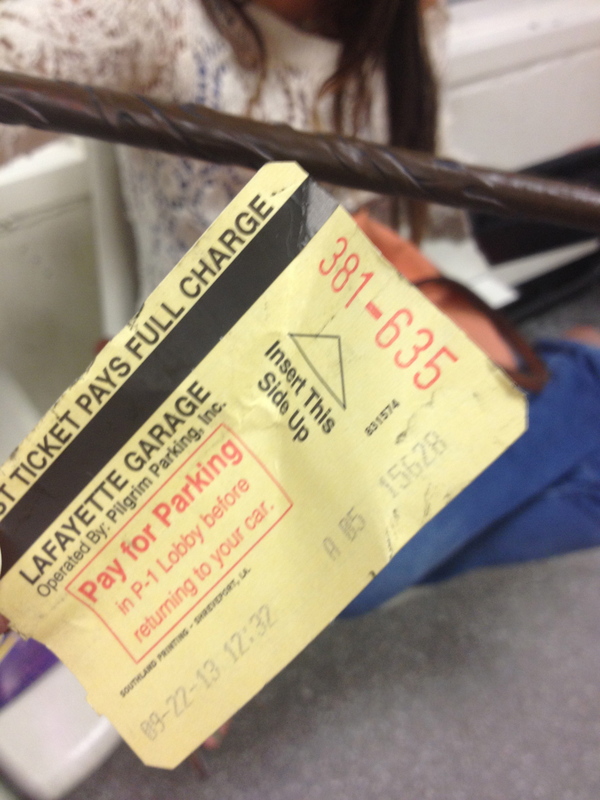 And then she handed me the ticket. And then I forced her to pose for a goofy picture. Because, duh. And then we were able to pay for parking with the credit card that Luau activated and get on with our lives. So, the moral of the story? It’s kind of a two-fer, I guess. If you don’t have the brain with you, call the person who does and always, ALWAYS carry a magic wand. Thanks for the laugh this morning. Love that Katie! This is great! To top it all off, you drive a manual trans car! Murder is city traffic but so much fun otherwise. awesome that you got to share something with her that she loved so much (anything harry potter related), and that you enjoyed as well. 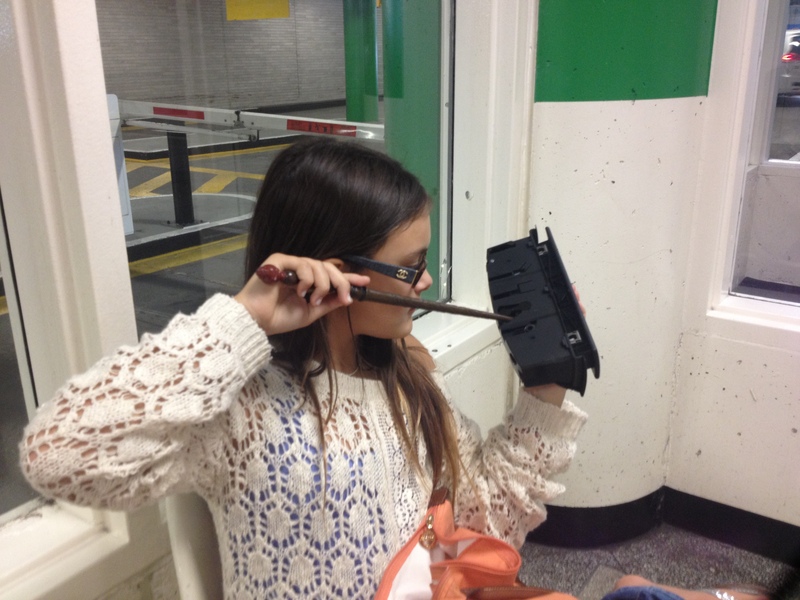 and even more awesome that she got to break out her super wizarding skills…just makes it all that much better. 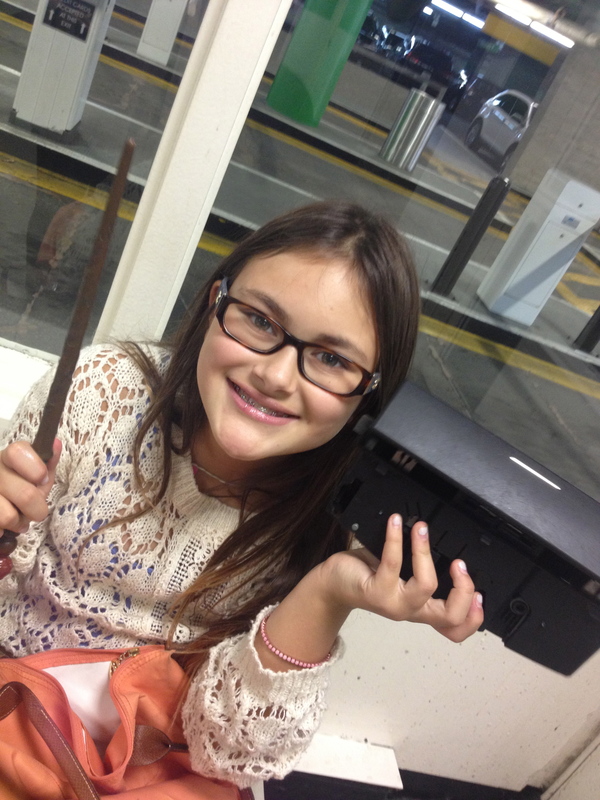 she’s sort of a harry potter/mcgyver hybrid. What a marvelous magical tale, perfect! That is so something that would happen to me too. That is just awesome!! Love she had the wand with her. Envy envy envy — Rose and I have been watching the HP movies together — in our case, I read the books first and reeled her in after met, but we are now equally hooked. One movie left to go, can’t wait! And, she’s going to be Hermione for Halloween. Lol. Yeah, I got that. I love the dream date scenario of all of us though! We’re going next week and trying it with the whole family. We’ll have our fingers crossed and be sitting in an aisle seat in case we need a quick getaway. Not that I’ve read your account I can’t wait to go. Needed a good laugh this morning, thank you! Too funny! Once I actually took the ticket to the pay station.. put it in my person…and then promptly lost the PAID ticket, arghhhh… makes me feel better that others do it! I did have the receipt so the guy let me out.. but sheesh!! 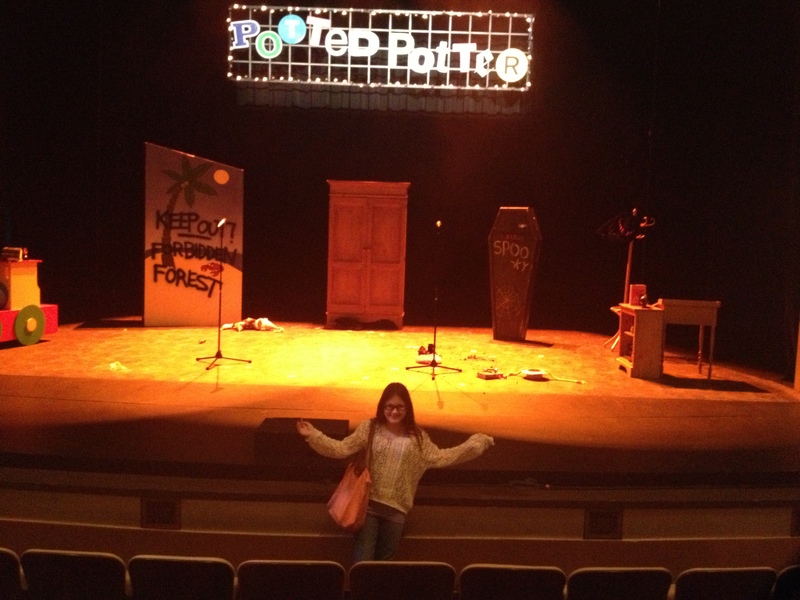 I just came home from seeing Potted Potter in Sydney with my son! And as you said, it was “awesome”!!! We have not laughed so hard in a long time! And the quidditch game? Priceless! One of the girls in our group managed to slam the beach ball into the face of an elderly audience member. This then provided James and Ben with plenty of new material to incorporate into the show! Very, very funny! It was thanks to this post above that I even knew what the show was when I saw and advert for tickets! So, thank you! yay! so glad you had as much fun as we did!